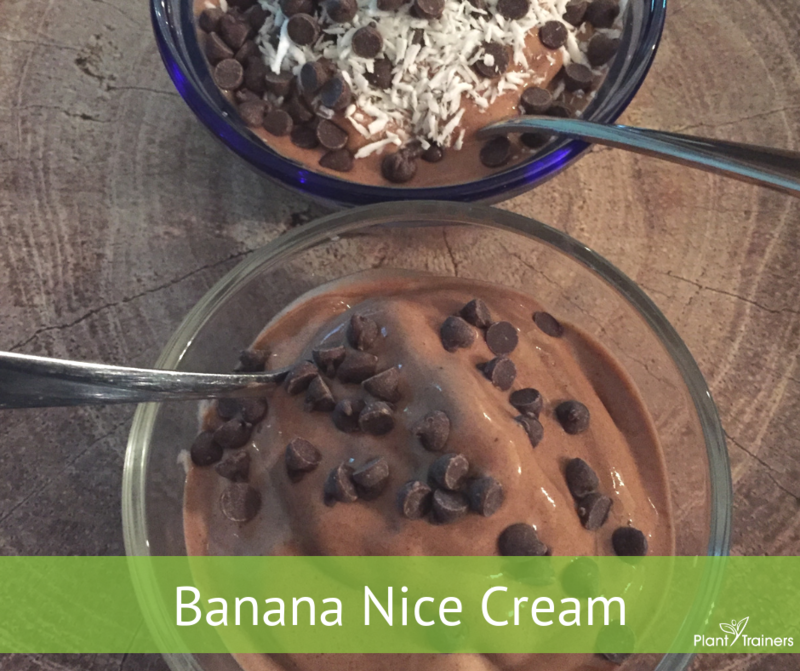 Banana Nice Cream is an all-time favourite around here. We can’t seem to keep enough frozen bananas in the freezer. It’s amazing when a recipe can have fewer ingredients than the number of words in the title! Rich, flavourful and creamy, this beats out soft serve any day as you’re getting protein, potassium, vitamin B-6, magnesium and vitamin C with no added sugars or inflammatory dairy. You can decide how many cups of frozen bananas you’ll use depending on how many people you’re trying to serve. But if you have leftovers, freeze it and let it sit out for 5 minutes on the counter before eating. If you want to get a bit creative take out the cocoa and add frozen berries or vanilla extract. Or keep the recipe the same and add a ¼ cup of beans to make it more of a meal. Toppings can be added like coconut flakes, cacao nibs or chia seeds. And if you want to get really creative, check out our Nice Cream Cake here. Top with your favourite topping…or enjoy as is!